Autumn Wine Choice 2016 – one to savour! With a new contact and friend, resident in Catalonia I am being educated in the fine wines of Spain without being drawn exclusively to the celebrated wines of the Rioja. Availability of some of my favourite wines in this category amongst my regular suppliers in E. Scotland remains a challenge. This said I am not one to be beaten and find that my local supermarket and the ever-reliable Majestic has a fine Ribera! Ribera del Duero was rewarded the accolade of Wine Region of the Year in 2012 by Wine Enthusiast magazine. 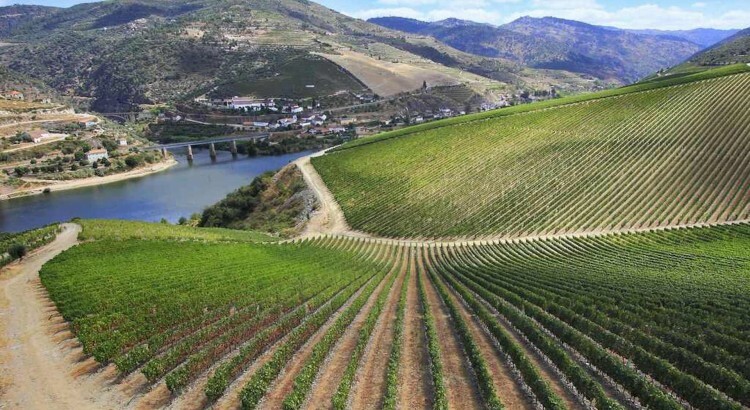 The vineyards are located in Spain’s northern plateau on the course of the Duero river. Wine has been produced here for over 200 years, however the Denominacion de Origen (D.O.) of Ribera del Duero was first awarded in 1982. I must say that I find it particularly encouraging to see that fine wines from these less well-known localities are being imported to the UK so that wine lovers over here can enjoy them. Wines labelled Crianza must age two years with 12 months in oak. Reserva wines must be aged at least three years with at least 12 months in oak. The Gran Reserva wines labelled wines must spend five years aging of which 2 years being in oak. My own recommendation is a Reserva from the producer Pagos del Rey and the wine maker is Alberto Viyuela. It is a full-bodied rich wine just as well suited to be drunk on its own or with a meal of perhaps roast lamb or delightful Spanish cured hams. Initial aromas of ripe plum and spice are accompanied by a palate of fruit and light vanilla. This is a guaranteed favourite for all those lovers of this exquisite grape more commonly offered from the Alsace or the New World. Having studied in Northern Italy on the shores of Lake Garda, I was able to explore the localities around this part of N. Italy. I had the opportunity to take part in a Wine Festival in Tramin (Termino-Italian) on two occasions, a lot of fun and highly recommended if a taxi is available! It is believed that this famous grape owes its origin to this part of Trentino – Alto Adige and it is a splendid area to explore, within breathing distance of the Dolomites. As you travel by car from the Brenner Pass on an elevated section of the Autostrada you can look down on the intensive cultivation of fruit and vegetables and admire the steep South-facing hillsides of vineyards. I am particularly attracted to the dry expression of the wines made with this grape in these parts. My supplier in Scotland is Valvona and Crolla and their tasting notes cannot be improved upon, “intense and persistent on the nose, bright straw-yellow with golden hints. On the palate it is elegant and structured with hints of honey, lychee and exotic fruit”. If a little time can be spared to take in the tasting notes as one enjoys this wine I would challenge the reader to try and identify these fruits, a most rewarding experience. I can savour this wine when accompanying it with a well-chosen Bergkase (a firm mountain cheese) local to the Dolomites. A favourite of mine is the outstanding cheese from Sexten (Sesto), a wonderful cheese monger with a fine range of cheeses made from milk produced from the richest of alpine meadows!! What could be finer? Now that we are well into the autumn, I am sure I am not alone in making a notable switch in choice of beverage! A beefy red wine that has been allowed to breathe properly can lift the soul as a relaxing drink, while a serious red grape variety as an accompaniment to a meal is especially rewarding. I have to confess that I am still very much in the learning process with, both wines from Argentina and the Malbec grape. Both can be a memorable experience. I have to say that I was thoroughly spoiled when my daughter presented me with a 2007 Bodegas Salentein Primus Malbec from the Uco Valley in Argentina, this was an experience all right! For a price of around £50, I would regard this wine as a real treat. The Malbec grape is becoming more widely known due to the superior wines arriving on the shelves of UK supermarkets and wine stores. It originated in France and is also known by the name of Auxerrois in the Cahors region. It is also one of the six grape varieties allowed in the blend of red Bordeaux wine. However, I am highlighting the grape as it is grown in the Mendoza region in Argentina. The grape was first introduced here in the mid-nineteenth century but now it can safely be stated that Malbec is identified with Argentinian wines. As a grape, Malbec is thin-skinned and needs more sun and heat than, for example, Cabernet Sauvignon or Merlot to mature. A Malbec wine can be recognised by its deep colour and intense fruity flavours with a velvety texture, look out for the violet aromas and ripe tannins. The Mendoza region is the leading producer of Malbec in the country with wines produced from high altitudes up to 1500m in the foothills of the Andes. With temperatures soaring throughout July we are bound to revert to more typical climes as I write this piece. I cannot remember a period of weather that inflicted so much exhaustive heat on the population of the UK enticing adults to try more white and rose wines. Having worked in Bavaria and been familiar with the marvellous range of German wines, I am astounded never to have encountered their rose wines in the UK. The ones to look out for include, Portuguiser Weissherbst and the Pinot Noir version, called Spatburgunder Weissherbst. They really are the most appetising and satisfying of aperitifs. I am though, happy to recommend this fine rose wine from the Loire Valley. The Loire Valley is situated near to the city of Angers and enjoys a mild, continental climate. The Cabernet d’Anjou is an appellation specifically reserved for Anjou wines made from the Cabernet grapes, often a combination of Cabernet Sauvignon and Cabernet Franc. As you taste this wine you will note an aroma of strawberries and raspberries and possibly roses. It is generally an off-dry wine. I find this to be a more fruit-driven wine than many of the rather bland, modestly priced rose wines on offer in the UK. The Chateau La Tomaze 2012 is a wine not to be overlooked and provides a perfect aperitif on a hot summer’s day. This rose is also adaptable – after all I do live in East Lothian, Scotland – it can be enjoyed with a variety of dishes, such as savoury/sweet or spicy food and quiches. I would recommend serving it chilled. I think it would be useful to give a short description about Chablis wines. From my perspective, as someone who enjoys a vast range of wine, but is learning all the time, the name Chablis stands out as one of the world’s great names. My wife and I were fortunate enough to visit the small town of Chablis in N. Burgundy and enjoy both the countryside and the fine cuisine and wine. Having been brought up in the locality of the Chiltern Hills in my formative years, I shall never forget the chalk-laden hills around Chablis, so similar in landscape to my home country of Berkshire. Whenever I announce that we’re enjoying the Chardonnay grape when drinking a Chablis, my guests seem surprised (or occasionally disappointed) and understandably so for the cool climate of this part of Burgundy produces dryer wines with more acidity and less fruity flavours than those grown in warmer climates. In other words, uncharacteristic of the Chardonnay grape.The characteristic dry notes have so much to do with the terroir in this locality. The wines often have a “flinty” note, unsurprising when you observe the raw chalky nature of the soil type in these parts, so evident to the naked eye from its pale colour. Another notable feature that I find especially appealing is that most basic Chablis is un-oaked and is matured in stainless steel tanks while many Grand Cru (top wines from Chablis) and Premier Cru wines receive some maturation in oak barrels. The soil type is so significant and is made up of Kimmeridge clay with outcrops of the very same chalk strata that extends from Sancerrre up to the “White Cliffs of Dover”. When visiting Chablis look out for the south-facing slopes of the hills just to the north of the town, for this is where the Grand Crus are grown. The Chardonnay grape variety is believed to be the first to have been planted in Chablis by the Cistercians in the 12th century and from here it spread to the whole of Burgundy. Whilst this is clearly a superb area for the development of vineyards, there have been challenges for the growers with the annual threat of damaging spring frosts. This is most notable as the vines reach the critical bud-break stage of growth. When it comes to tasting the famous wines of Chablis it is easy to determine the true composition of the fruitiness due to the general absence of oak and winemakers who do choose to use oak in the fermentation or maturation process tend to prefer a more neutral variety that does not impart such a pronounced “nose” of vanilla associated with American oak. Chablis winemakers want to emphasize the terroir of the calcareous soil and cooler climatethat helps to maintain the high acidity. The wine is characterised by a greenish-yellow colour. The green apple-like acidity comes through in the bouquet, but this mellows notable as the wine is aged. If you can display a measure of patience, Grand Crus can age for well over 15 years while Premier Crus for at least 10 years! Needless to say, a significant financial outlay must be considered for the latter wines. I would like to recommend two quite different Chablis, one a basic Chablis and the other, a Grand Cru from the Vaudesir location.